Family Owned and Operated in Martin County for over 25 years! Palm City Pool and Spa was founded in 1988 by Mauread Miller and her Father William Hynes so that Martin County could have a honest, reliable, and complete pool service company. Over the past 30 years we have assisted thousands of families through our weekly maintenance services, repair services, and complete pool and patio renovations. We are Commercial Pool Contractors and can provide any service you may need. Our family will never try and sell you products you don't need but instead we will provide you with the proper information about available products that will make your swimming pool experience more enjoyable. Every Saturday is "Family Day" when every member of our family will be in our retail store to assist you! The best pool cleaners we offer! Zodiac Days are going on now! Call or come in today to get the best deals on the best Automatic Pool Cleaners! Visit their site here. Top Recommend Pumps, Filters, and Automation! One year warranty on all products and Three year warranty if you buy three Jandy products! Call today to find out more about the Jandy Pro Series! Autopilot Salt Chlorine Generator gives you the best quality water! Never worry about manually adding chlorine to your pool again! 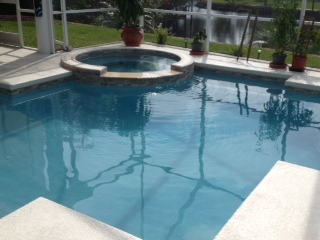 Wet Edge - Top of the line, quality pool finishes! Great variety of beautiful tile designs. Beautiful mosaics for your pools. Pentair Aquatic Systems is the world's leading manufacturer of pool and spa equipment! Providing top of the line Pumps, Filters, Heaters and Heat Pumps, Automation, Lights, Automatic Salt Chlorine Generators, and Automatic Cleaners! AquaCal is the largest manufacturer of swimming pool and spa heat pumps in the world!